More than 60% of people suffer from indigestion at least once per year and more than 30% suffer at least once per week. If you, or someone you love are suffering from indigestion and are tired of taking antacids or pharmaceutical drugs to control your indigestion, I want to reassure you that you don’t have to suffer any more. When I was 23 years old I was diagnosed with Scoliosis, with a double S curve of the spin. What happened after that diagnosis eventually burned out my stomach after years of indigestion, and eventually ulcers. No, the scoliosis didn’t create indigestion, the pain killers did though. They started me out on high doses of aspirin and then they added Darvocet, a pharmaceutical pain killer. I started having indigestion from all of the pills, especially the heavy doses of aspirin and the answer from the medical community was to take antacids and when that no longer worked then I took Maalox and when that didn’t work I was then put on Tagamet. As I looked at the medications on my counter and I compared the number of prescription drugs my parents were taking, I realized that if I continued donw the path of western medicine, that by the time I was in my 60’s I would probably be taken at minimum of 15 prescription drugs and that is when I decided to look for alternative solutions. Within a year I was off the aspirin and all of the pharmaceutical drugs, my ulcer was totally healed and my indigestion was gone and I no longer had hiccups every day. Today, I’m going to share what I found to help me to heal, from eating healthier to, clearing underlying emotional and psychological issues, to changing beliefs and energy healing. 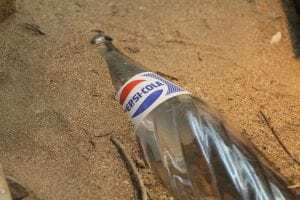 One of the first things I did was cut out all bubbly drinks, for me, that was Pepsi, in fact I was so addicted to it I was drinking 15 bottles per day. In addition to that I was drinking vodka tonic with lime. Any drinks or foods that are acidic in nature should be minimized to begin to get your indigestion under control. Next, I used visualization and hypnosis to minimize the pain in my spine so that I could stop taking the aspirin and Darvocet for pain. They were the two big culprits for my indigestion. I visualized and intended that my spine was strong straight and healthy. I hypnotized myself to eliminate the pain. Yes, the mind is a powerful thing, and when using hypnosis for pain relief you must be sure that the pain is not an indication of any life threatening health issue. For instance stopping the pain if you are having appendicitis can be done, but that won’t stop the appendix from bursting and causing you to possibly die, if you don’t get the right medical help soon enough. Use hypnosis cautiously. Once I had done the above two pieces I began backing off of my pain pills until I was able to be off of them 100% and I was able to throw out all of my antiacids. Although that worked and stopped the indigestion and I was no longer in pain, what it didn’t do is create a permanent solution. You see, just like Western Medicine, I forgot the most important aspect of the healing process. Actually, I didn’t forget, I didn’t know at the time that there was another aspect. That aspect is Energy Psychology. I used Energy Healing by doing the visualization and the hypnosis, but what I didn’t do was look at the underlying cause and heal the issue. So, what happened was that over time, I created a new intestinal problem that caused me to suffer from IBS (Irritable Bowel Syndrome). My gut health was not addressed to bring it back to a healthy state and the psychological issues that caused me to have the original problem also were not addressed. I don’t subscribe to beating myself up, in fact I didn’t even know about the underlying emotional relationship at the time I did that healing work. I do though, subscribe to the idea that I can learn from the past and make changes for healing in the future. So, as the saying goes, hind sight is 20/20, here’s what I would do and what I recommend to clients that have indigestion. Identify the Chakra that is blocked and get the energy flowing. In some cases you will begin to get immediate relief. In this case the Solar Plexus is the one related to indigestion. The solar plexus is also the center for creativity and gut instincts. It’s color is yellow and just by breathing in yellow light into the area of the solar plexus you’ll begin to open that center. To access the Solar Plexus Symbol, which works quickly and effectively register for my newsletter or if you need instant access get your copy of the One-Minute Energy Tune-up ~ Power Symbols for Balanced Energy ebook. Determine the underlying cause(s) for indigestion. I start with the Louise Hay book Heal Your Body, which indicates that indigestion has to do with gut-level fear, dread and anxiety. I also use two other excellent sources to look even deeper, as I find that although Louise’s book is very helpful, the insights shared in Christiane Beerlandt’s book The Key to Self Liberation – 1000 Diseases and Their Psychological Origin and Yvette Rose’s book Metaphysical Anatomy: Your Body is Talking Are You Listening? both go much deeper. I consider each thing being shared in these books and identify what is true for me. If I have an resistance to what is shared in these books, I look deeper. Honesty with ourselves is important, don’t lie to yourself, kid yourself or ignore the possibilities. Never dismiss what is mentioned in these books, instead look deeper, we have a habit of burying things and thinking we have healed them. My experience tells me that it is highly likely that there is more there than I might think or want to believer. The mind can be a trickster. Also, in some cases consider the polar opposite of what is suggested. In this case being so fearless that you are cavalier and take unnecessary risks, ignoring your gut instincts. These resources typically look at the negative emotion, and I have found that the polar opposite can still throw us out of balance and cause a similar if not the same health challenge. One of the main keys in life, is BALANCE. Once you have identifying the issue, begin healing those underlying issues. In this case look deeply for the Fear or dread and recognize it for what it is. Most of the fears we have are highly unlikely to happen. Most of the things we dread are also highly unlikely to happen. But rational is not the answer, the real answer is hiding below that surface that tells us what our real fears are. You can check out the process for discovering your underlying fear and experience the releasing fear Krystagraph Here for Free! Identify any negative beliefs about yourself that relate to the Psychological cause and begin a process for changing those beliefs. If you love working with the symbols and want to change negative beliefs quickly and effectively you’ll find the symbols and processes I use to change negative beliefs in just one session, in my book: One-Minute Energy Tune-up ~ Power Symbols for Balanced Energy ebook. Make the necessary dietary changes and remove as many acidic foods from your diet as possible. Remember balance is key, so you don’t have to remove all acidic foods. Visualize your digestive system working perfectly. Add prebiotics to your supplement routine to help your healthy flora grow and flourish. Here’s the one that I prefer! Add a digestive enzyme to your supplement routine as well. Here’s the one I prefer! Listen to your body and allow it to guide you to eat what it wants and needs, you’ll be amazed at how much better you’ll feel by allowing your intuition to guide you to eat the foods it wants and needs. If the problems persist you’ll want to seek medical help of course. In the process though, continue to dig deeper for the psychological origin or the issue, if you don’t you are more than likely going to have the problem come back in a new way, just as I did. Life is a journey and when you treat your health as a whole being of Body, Mind and Spirit, your success in healing anything is going to be much greater. If you found this article helpful or have questions, please post your comments and questions below. Remember if you have a question there are always other people who have the same question and will benefit from the answer too.